Art Parts provides you with templates (tracers) for your students to use to create art projects. With the templates, paper, scissors and glue your kiddos can create this adorable bear. 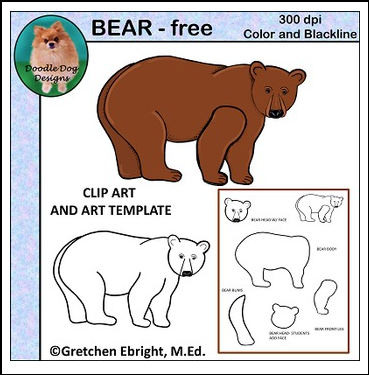 You will also receive BEAR clip art that can be used in your unit worksheets, games, task cards, etc., as well as a guide to putting the templates together.